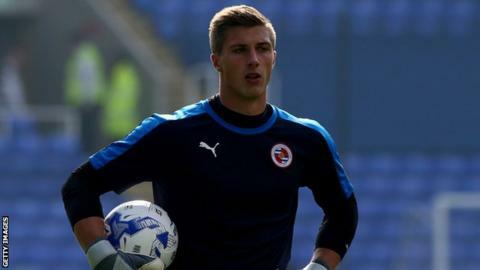 Peterborough United have signed Reading goalkeeper Stuart Moore on a 28-day loan deal. The 21-year-old, who is a product of the Royals' youth academy, has yet to feature in a Football League game. He has previously had loan spells with non-league sides Basingstoke Town, Gloucester City and Bath City. Moore has gone straight into Graham Westley's starting XI for Saturday's League One match at home to Swindon Town.